Our purpose is to help men of all ages become the man,the husband, and the father that God desires each man to be. Join Valley Brook men on the 2nd Saturday of the month for a relaxed morning that includes a light breakfast (free), fellowship, a devotional, and table discussion. 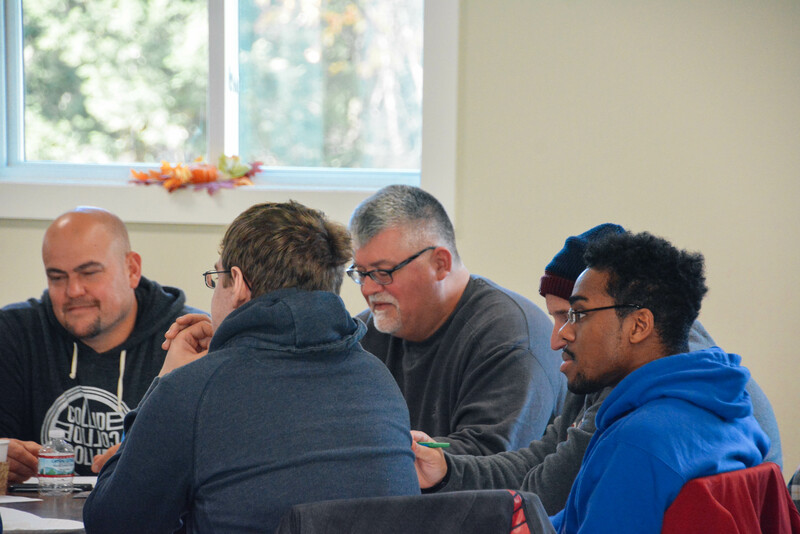 Men's Serve Team is a ministry that meets on the 2nd Saturday of the month to serve individuals and families in need within Valley Brook and the surrounding communities. The team meets at Valley Brook and then heads out to provide specific help that may include minor home repair projects, property maintenance, help with moving and other similar work.